The first thing she thought was that she needed to get on a plane and go to the beach. The doctor hadn’t finished his sentence. When she noticed he had fallen silent, she realized she had said it out loud: The beach, yes. I have to see it. People spend too much time in this middle of nowhere, we need to drag ourselves to the shores sometimes. See the sun setting in the ocean. Go shins deep into the sand, which is not always only sand, but also shells, glass shards, bent beer bottle caps. One time, she even found a tooth. “Adriana, are you alright? Should I call your mother?” the doctor was worried and asked politely. Serious expression. Half sadness, half tiredness. The weird thing is that she was alright. She walked to the bus stop, her mind was blank. It must have been the emergency button, the one reserved for the type of despair that was not imaginary; it’s real, it’s palpable, and something must be done about it. That button that cancels out all drama. She looked up and indicated to the bus driver that she wanted to get in. The gears in her head were turning as the rest of the universe was shrinking. At the airport, no bags, just the clothes she was wearing―jeans and a T-shirt―Adriana bought a round-trip ticket. She made a dent in her credit card. She got an exit seat, something she could never afford, and started laughing hysterically when she told the lady at the counter that she needed more room for her legs. She only stopped laughing when she got in the ladies restroom. That was when she realized she wasn’t really laughing. She was crying. Copacabana in the summer, a sample of hell. The brightness didn’t allow people to look ahead; it was funny to see them parade down the street wearing a hat and keeping their head down. A bunch of people picking up their feet while running and Adriana serving as an obstacle and emptiness among them. They were slouching too much to notice her; they just avoided her, the fat young lady in the way. In turn, she reveled in her own madness. She turned off her cell phone and bought some beer. She hadn’t even taken any towels, and she wouldn’t rent a beach chair to sit in. She simply pressed herself into the sand, against the beer bottle caps and glass shards, while the sweat was keeping her thighs glued together. One of her boyfriends used to say that he hated her thighs. He loved everything else, he had explained, especially her face, which was so pretty, but you could go on a diet, couldn’t you, Adriana? Your legs are too thick. For quite some time, even after he had already become history, she still studied her thickness in the mirror, feeling a growing hate crawling up her throat, a hate for those hips opening up like a hand fan. She hadn’t been that fat before. When she was a teenager. She had been skinny. Pretty. She couldn’t tell when she had started growing in reverse, from bottom to top, like an hourglass indicating the end of her time. But she hated it. That kind of thing didn’t matter anymore; she had chosen to stop assaulting herself. She had grown used to being plentiful, and she met other men who had shown appreciation for her measurements. Man who used to dive between her ample thighs, hunting for a slit where they could lose themselves all night long. They never stayed, but she never asked them to stay anyway. She was alright. She was great, actually, which was very ironic. Happiness must really be a trap that sends idiots rolling downhill. On the plane, there had been a family scattered through different seats. The father was on the front row, his daughter sleeping next to Adriana, who was traveling by herself. The mother, a nervous little athletic woman, has only found an available seat next to one of the wings. She paraded up and down the aisle, arguing with the flight attendant. How could they have separated her from her husband like that? “Don’t switch,” Adriana flinched when she heard his whispers reaching her ears while she was reading the in-flight magazine. She looked at the guy and felt sorry for his bloodshot eyes, his graying hair. He supported his daughter, who was about five years old, on the side of his arm. While he struggled to buckle the seat belt, he leaned in and asked her that favor. He seemed tired of having to explain himself. Adriana could hear the woman’s voice floating towards them. It’s absurd, I’ll sue this airline, how come you don’t have a decent seat for me? Who’s your superior? This plane will not take off like this! Adriana could understand what it was like to need some peace and quiet. “It’s just that I need more room for my legs,” she said, without any concern for the dagger eyes from that woman, who had made the request sound like an order. He didn’t even wait for his apoplectic wife to get to the back of the plane to whisper a thank-you for her kindness. “Are you going to Rio for business or pleasure?” he asked her. His name was Ricardo. Business man, fifty years old. The woman back there was his third wife. He had a soft spot for silly ladies, the problem is that he’d only find that out about them when it was too late. He created love, like that little princess over here, but he wasn’t good at finding love that lasted. “It’s funny how we just wait for life to happen. We tell ourselves that tomorrow or the next day will be a great day. When you realize, life has passed you by,” he confessed, taking his glasses to clean the lenses on the edge of his shirt. He spoke slowly, as if he tasted each word at the tip of his tongue before saying them. Slow moving. She felt the beginning of something candid and gentle: endearment. After so much time staring at the ocean, Adriana finally went in. When she realized it, she had water up to her chest, clothes and all, and nobody thought it strange. As she felt herself sinking due to how heavy her wet clothes were getting, she started to worry if they’d dry in time for the flight back. She came to the conclusion that it would be possible, considering the departure time. Then she remembered her cell phone was on her back pocket. She ran out of the water, dripping, like a mad woman (she was already mad.) She disassembled the device. Battery and so many other circuits washed with salt. Her entire life in small metal and iron boards. She left it drying in the sand. Would the sun in Rio perform a miracle? I think it’s fried, the beer vendor weighed in. She shrugged. Give me another large can. She had no reason to lose hope. Adriana had said goodbye to Ricardo as soon as she unbuckled her seat belt. She was in a hurry; he wasn’t. The last image she kept of him was he sitting down, hands folded in his lap, as his wife picked up their daughter and made a commotion, yelling some orders over her shoulder. The man was calm and comfortable. Adriana thought she could have rested her head on his chest and taken it easy for an entire afternoon, if at all possible. “Good luck, young lady,” he wished her well without a reason, and his tenor’s voice sounded smooth. She recognized it, actually. That was the first thing she noticed when she turned her head around in the crowded restaurant. Had it been three months or something? She was having lunch with her nurse. Her babysitter. It was the same restaurant they went to every day, the waiter already had the corner table reserved for her, the one that made it easier to fit the wheelchair―she was using a wheelchair until her prosthetic legs were ready, or until she could afford them. Now everybody got out of their way to please Adriana, it was actually funny. Having her legs sawed off was all it took for her entire body to become visible. The two stumps hidden by the jeans shorts―thigh-length shorts―opened up doors and windows now. They played in the back of other people’s minds. The doctor had insisted that she needed a routine, so she had forced herself to keep one: Waking up early, having breakfast with Eugenia (the nurse), going downstairs to watch the kids playing. Going back upstairs and taking a bath using the bars that had been recently installed in the bathroom to support herself. Choosing a restaurant―always the same one―and having lunch. Dinner. Watching a movie, maybe reading a book. Sleeping. Waiting for anything to happen. They said she had got rid of the cancer that was rotting up her bones―the miracle of amputees. They were worried about her silence, her anesthetic tranquility (she had pounded on her own emergency button those days, but nobody heard it.) She had no friends. She didn’t talk to people. But she noticed Ricardo’s presence when he arrived, wearing a suit, and sat on a table at the back, just he and his daughter. Maybe he had worked up the courage to put an end to that hysterical love. “Do you know him?” Eugenia asked her, noticing her sudden interest in that man. “No, I don’t,” Adriana sighed. She never went to see the ocean again. FABIANE GUIMARÃES was born in the State of Goiás in 1991 and has been living in Brasília since 2009. 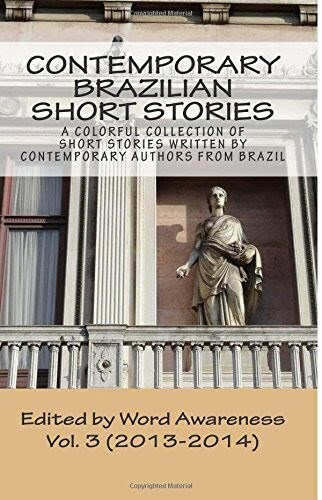 She went to journalism school at the University of Brasília and now divides her time between working as a reporter at the Metro newspaper and writing literary pieces―something she has been doing since she was a teenager. She finds inspiration in the crossroads where the imagery of the modern metropolis and the primitive, mythological inland of her country meet. Fabiane published her first short story, Laica, as part of an anthology called Beco do Crime [Crime Alley], published by Multifoco in 2008. She was one of the recipients of the Miró Award with Os olhos de Dalila [Delilah’s Eyes], a short story that became part of a collection published by Insula, and is currently in negotiations to publish her first novel, A tristeza dos outros [Other People’s Sadness].